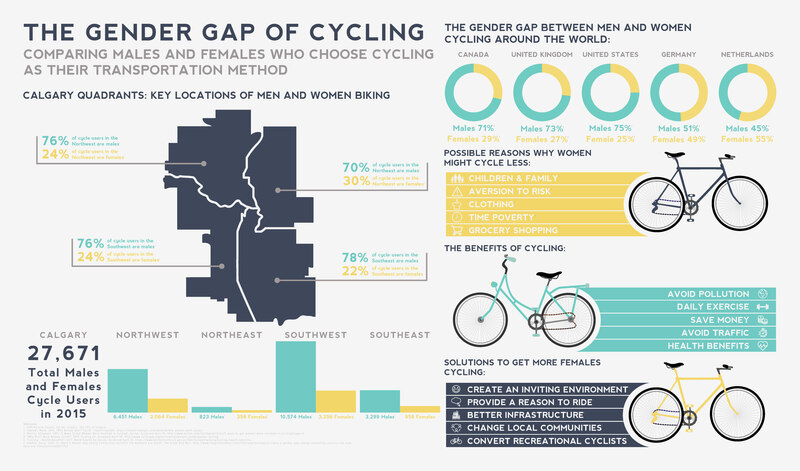 This infographic shows a variety of data about the cycle track within Calgary and primarily focuses on the gender gap. This project included working with extensive research and data from The City of Calgary to create easy to understand diagrams. 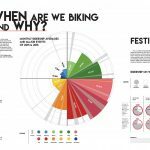 The different types of data visualizations within the infographic include a choropleth map, bar graphs and donut charts. This project was presented at Calgary City Hall where students had the opportunity to showcase their work and take part in conversations about the research the city collected and how we, as information designers, visualized it.